The last draw. The final draw before me telling myself I should possibly put a stop to making cookies because I wanted to sit back and rest prior to returning to work in another three days time. One more on my cookie card go, I made these Oatmeal Raisin Cookies. Relatively the easiest I must say and conclude compared to those cookies I already felt good making. After all, unless you try, you never know and knowledge thirsting on cookie making, if you are asking me is no lost. Basically because people can't con you and you won't like open your mouth when they blow their own trumpets to their cookie expertise and you can in return tell them you also know it (Semperit Cookies, Vanilla Butter Cookies, Suji Cookies, Nyonya Pineapple Tarts & Chinese Peanut Cookies). Where did the recipe come from for these Oatmeal Raisin Cookie? From a particular popular site which I am definitely not telling because it hit the back and front sack of disaster. Yes guys, another disaster. Beats me though why people share recipes that won't work, but we still get carried away with the attached beautiful visuals right? We do. Anyway, once I mixed the ingredients, dough was so sticky until I couldn't possibly pinch and roll out into small balls. Instead of throwing the dough away, I added extra oats and a little more flour which logically did the job. Thereafter, me literally squatting in front of my oven and simultaneously keeping my fingers crossed. Thank god, the first batch came out and happiness was the moment of truth. Crunchy and natural burst of sweetness from honey and raisin, Oatmeal Raisin Cookies truly delighted my cookie making day. Melt butter, honey and milk in the microwave. Bring out and stir to cool down. Add into a bowl with the rest of the ingredients. Rumble, crumble and shape into balls. Place on baking tray lined with baking paper. Bake at 160C for 20 mins or till cookies becomes brown in color. Its my favorite cookies. Love to make eggless. thats a lot of baking! 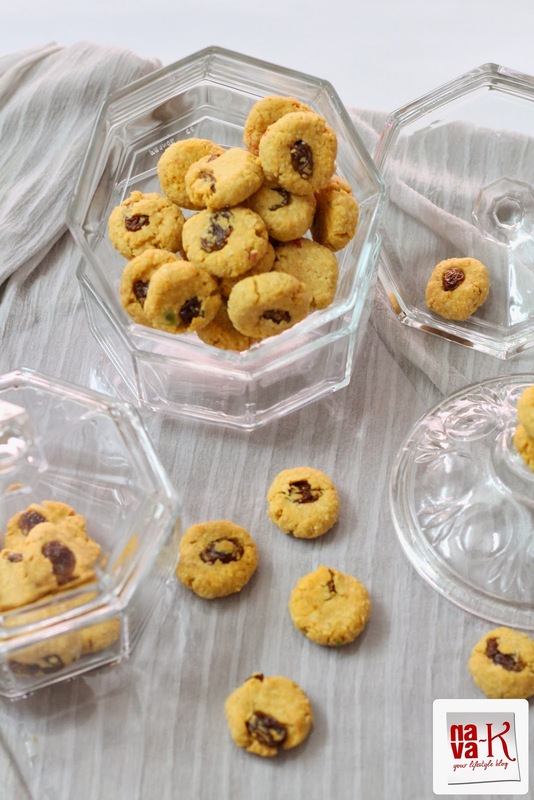 love this eggless oats and raisin cookies..looks so cute and tasty.. 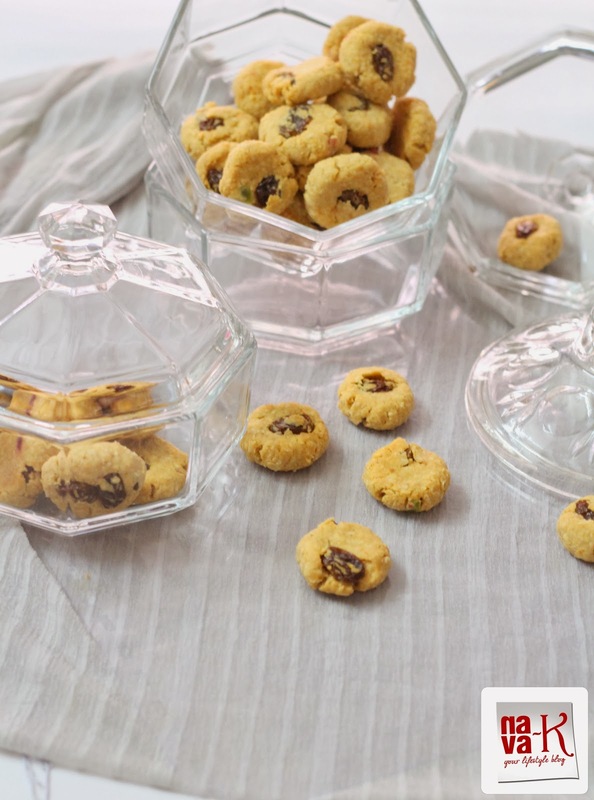 Healthy and delectable cookies.They look so cute and love the presentation. very healthy cookies, love it!!! You are an expert in making cookies. I agree now after watching your cookies Recipe collection. I can see that u are in the mood for baking cookies wish I was ur neighbor to try those and of course all the seafood delicacies u make. Nice cookies, like the oats and the honey in it...and yes, eggless sounds great Nava. I love these bite sized cookies..they look so irresistible. Healthy and crunchy snack for tea!